David Horowitz, the Trotskyist radical turned far-right entrepreneur, has just published an instant best-seller, Big Agenda: President Trump's Plan to Save America. Only the agenda is not Trump's. It's Horowitz's, and shamelessly so. Little David, as we distinguished him from Big David at Ramparts magazine in the 1960s, is pushing his Goliath to be even more ideologically partisan and to more readily provoke extremist violence in the United States and Europe. "There can be no 'honeymoon' in the wake of this election ― the most divisive since America's Civil War," Horowitz writes. "Republicans must drop their attitude that these political conflicts are 'business as usual' and must begin to confront the fact that the progressive agenda is a dagger aimed at the heart of America's social contract and the security of the American people. "Progressives are the mortal enemy," Horowitz warns, lumping together everyone from tough-minded Trots to wide-eyed Bernie bros to scheming Clintonistas. For Trump to save America, he says, Republicans need to eradicate this socialist threat. "The strategy is to go for the jugular." "The David Horowitz Freedom Center combats the efforts of the radical left and its Islamist allies to destroy American values and disarm this country as it attempts to defend itself in a time of terror". The Freedom Center's funding continues to come from the Mellon Scaifes and other Clinton-bashers whom Hillary once called "the vast right-wing conspiracy." Adding Muslims to his hit list attracted added millions more from wealthy pro-Israel Jews, like tech mogul Dr. Bob Shillman, of the publicly-traded Cognex Corp.
Diversifiying his appeal enabled Horowitz in 2013 to take home some $525,000. That's not chopped liver to a red-diaper baby who grew up in Queens in a puritanical family of Communist schoolteachers, and he openly revels in the glamorous Southern California lifestyle the big money buys him. But money isn't everything. Or is it? Either way, Horowitz has now gone all out to hitch himself onto the Trump train, determined to show them the way. "The Democratic Party has never been comfortable with the war against radical Islam or willing to acknowledge its religious nature," he writes. "Democrats oppose the surveillance of mosques, which are mainly financed by Saudi Arabia, a fundamentalist Islamic state, and are centers of recruitment to jihadist agendas. Democrats were appalled when Donald Trump proposed a temporary moratorium on Muslim immigration until proper vetting procedures were instituted." 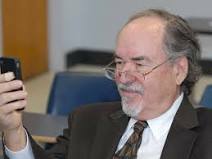 Horowitz makes race and religion all-important, a sin for which he castigates his lumped-together progressives. "Unlike Christianity or Judaism, Islam is a supremacist religion that regards non-Muslims as infidels who must be eliminated or subdued," he writes. "In words that are holy writ today, its Prophet incites believers to behead unbelievers and pursue a war of terror against them: 'I am with you, therefore make firm those who believe. I will cast terror into the hearts of those who disbelieve. Therefore strike off their heads and strike off every fingertip of them.'" "The effects of these beliefs are etched in Islam's 1,400-year history of bloody conquest," he goes on. "Sponsors of Islamic terrorism like the Muslim Brotherhood and powerful Islamic states, most notably Iran, are promoting a genocidal war against the Jews and openly seek to establish a global caliphate ― a world state under Islamic law ― that would abrogate all the constitutions that guarantee basic freedoms and individual rights." Ignore, if you will, Horowitz's hyperbolizing, his over-simpifying, and his McCarthyite lumping together of different players who are often in conflict rather than agreement. Ignore as well his quoting only the Koran's more bloodthirsty passages, which echoes vintage anti-Semites citing Old Testament passages calling on the Israelites to wipe out the Canaanites. David has the smarts to know better, but nuance is not his niche. In this screed, he is simply trying to push Trump to go beyond primitive Muslim-bashing and proclaim an all-out ideological crusade against the world's second largest religion. This counter-productive clash of civilizations is precisely what ISIS and al-Qaeda want, knowing it will only swell their ranks. But Horowitz, the ideological entrepreneur, could not care less. "God-father of the modern anti-Muslim movement," as the Southern Poverty Law Center described him in 2014, he has for years honed his call to unending global hatred. His Islamo-Fascism Awareness Weeks spread the hate on college campuses. His online Frontpage magazine spreads it on the Internet. And his Freedom Center offers Trump a diverse team that has been selling the ideological crusade on both sides of the Atlantic. Robert Spencer runs the Freedom Center's Jihad Watch, where he aims to "track the attempts of radical Islam to subvert Western Culture." He has talked and written widely on "The Islamization of Europe," becoming a major inspiration to the neo-Nazi Norwegian terrorist Anders Breivik, who in July 2011 killed 77 people to protest what he saw as the encroachments of Islam, feminism, and "Cultural Marxism." Spencer, a practicing Melkite Catholic whose grandparents immigrated from what is now Turkey, works closely with another Horowitz protégé, the intensely Zionist Pamela Geller. The two agreed publicly that former President Obama may be a secret Moslem, that he waged a war on America, and that he was an anti-Semite who will bring "a second Holocaust." With backing from Horowitz, Spencer and Geller created the American Freedom Defense Initiative and Stop Islamization of America. They also led the fight against plans to build near the former World Trade Center a mosque and Islamic cultural center, which they smeared as "Ground Zero Mosque" and a continuation of the 9/11 attacks. Equally provocative was the "First Annual Muhammad Art Exhibit and Contest," which Geller fronted in Garland, Texas in May, 2015. Defending their contest as an exercise of free speech, the Horowitz team offered a $10,000 reward for the best cartoon of the prophet. In response, two Islamist fools of god shot up the event and were themselves killed by police. "I watched Pam [Geller on Fox News] earlier, and it really looks like she's just taunting everybody," opined then presidential candidate Donald Trump. "They can't do something else? They have to be in the middle of Texas doing something on Muhammad and insulting everybody?" Will this stop Trump from making Horowitz his Little David? Not likely, at least not if heeds the advice of Steve Bannon, the controversial mastermind of his presidential victory and now his Chief Strategist in the White House. 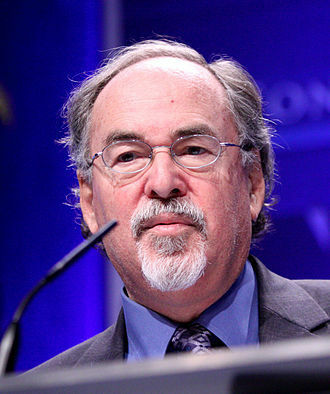 Horowitz boasts that he convinced Bannon to feature school vouchers as the centerpiece of Trump's "New Deal for Black America," and he has steadfastly vouched for Bannon as being a friend of Israel and not at all an anti-Semite. "I have known Steve Bannon for many years," he wrote in the alt-right Breibart News, which Bannon used to run as a daily incitement to a new generation of neo-fascists. "This is a good man. He does not have an Anti-Semitic bone in his body." Much of the controversy erupted after Horowitz ― not Bannon ― accused the neocon leader William Kristol of being "a renegade Jew" for opposing the pro-Israel Trump. "I wrote the article, which was neither requested nor commissioned by Breitbart," declared Horowitz. "And I wrote the headline: 'Bill Kristol, Republican Spoiler, Renegade Jew.'" Bannon will surely want to reward such loyalty, and if he does, Horowitz stands ready to make the Trump hate machine against Muslims even nastier than the red baiting anti-semitic crusades were against his parents. That is Little David's Big Agenda. A veteran of the Berkeley Free Speech Movement and the New Left monthly Ramparts, Steve Weissman lived for many years in London, working as a magazine writer and television producer. He now lives and works in France, where he writes on politics and international affairs.